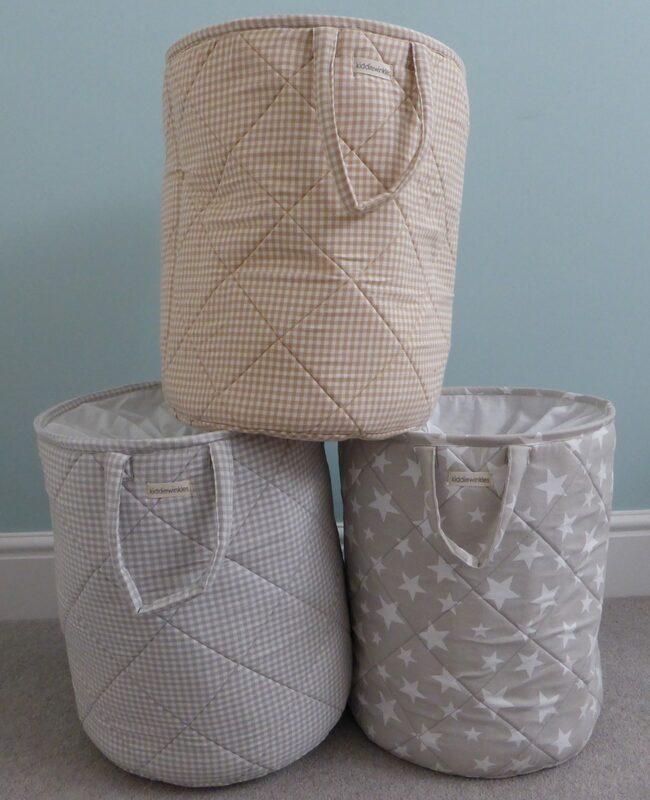 Kiddiewinkles Laundry Baskets (£25) help you keep laundry piles neat and tidy in nurseries, bedrooms, bathrooms and playrooms! But why confine such a lovely purchase to laundry?! With no hard edges, they are perfect to store all kinds of items including cuddly toys, towels, bedding and more. Each basket features a practical waterproof lining and draw string top to keep the contents hidden from view. Available in a variety of colours.